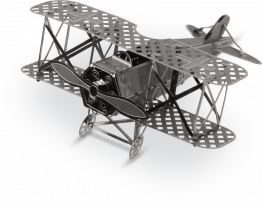 Originally known as Metal Works, the Metal Earth series are 3D models you build from laser cut steel sheets. 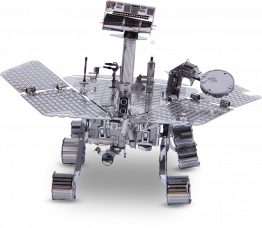 Incredibly detailed, these fascinating models are definitely a challenge to build. Care and patience are required, but the results are well worth the effort. Long-nosed pliers are also recommended (not included). As a souvenir with a difference (or inspiration to save for a world trip! ), a reminder of family history or just a beautiful object with the satisfaction of knowing you built it yourself, why not start a collection? Did you have an account on our old shop?